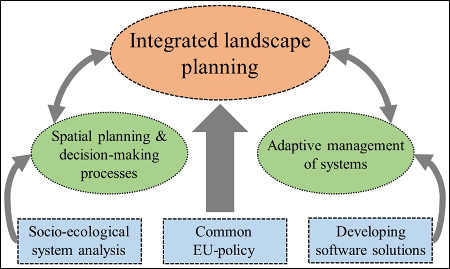 The figure above shows the three level hierarchy of the INTERact concept that is based on both social-ecological interactions and the development of software solutions to implement an integrated spatial planning approach in CEE-SEE countries. Potential partners will be linked to the network of the European Land-use Institute in order to sharpen the research focus in these regions. 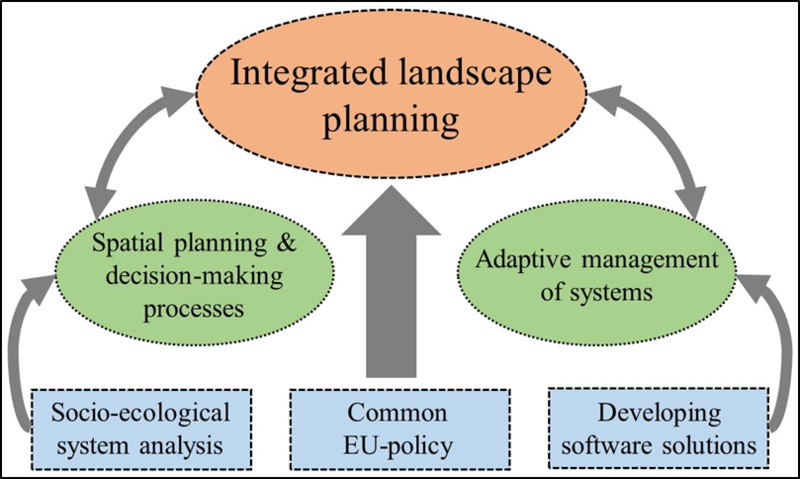 Applying practice-oriented software tools as well as developing GIS-based technologies are of paramount interest for mapping and assessing ecosystem services. Finally, implementing a comparable EU-policy in CEE-SEE countries should be promoted.